He was born in 21st October in the year of 1981. He was the famous running back in the American Football. In the very beginning, he played college football in Miami. There, he was recognized in an agreement by All American. Then he was recruited by Buffalo Bills in the initial round of NFL Draft in the year of 2003. 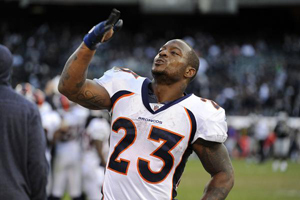 He also played for several different clubs such as Denver Broncos, Cleveland Browns and Baltimore Ravens. 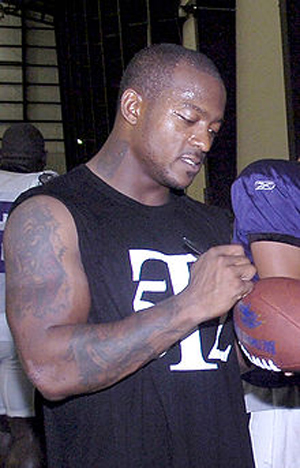 In the year of 2015, Wills McGahee was signed as an athlete in Miami Surge in the year of 2015. He was contracted for the National Pro Grid League. In the year 2003, he got a knee injury. In later period his knees got operated and afterwards he used to known as “a cinch top-five pick”. He has several tattoos in his both arms. The arm tattoo expresses his extreme power for the sports. His both arms were inked with muscle tattoo. When you look at his bicep, you will definitely become overwhelmed to see its strength. The tattoos are superbly fit in those arms and signify the strength of his muscle. Rugby is a game of power and it is well observed to see this.